Church Wedding Decorations Ideas - Marriage is a very sacred moment, especially if the wedding ceremony is held at church. If in the church already has beautiful interiors, we don't need to add other ornaments. Then, how to add value the sacredness marriage ?. One of the solution to add sacred moment at church is planning ceremony decorations. We will share how to design fantastic decoration at church. We have several ideas that can help make your special day go off without a hitch. When you walk down the aisle on your wedding day, in the perfect wedding dress, you'll want for the church to look almost as beautiful as you want. First of all, installing white carpet all the way to the altar. 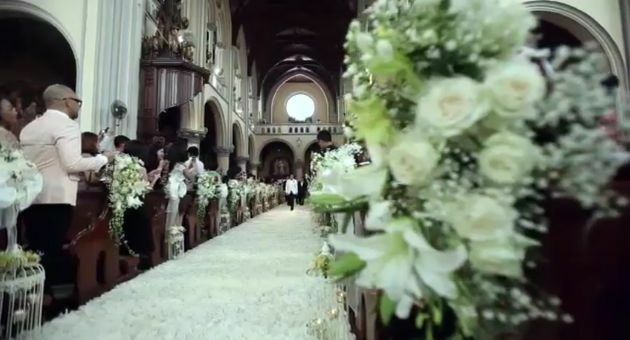 When the bride down carpet between audience, a white wedding dress that will steal the attention from invited guests. Choosing the color of carpets depends on the seat color in the church. Make a color contrast between tapestry and seating guests. The most common decoration would be flowers. A row seat wedding guests are decorated with small bouquets of white roses. It will add freshness and beautiful decoration. In addition, flowers at church can add peace and tranquility. Don't forget to decorate Altar as a blessing place. Because the altar is the main magnetism of marriage where bride and groom stand for marriage. In addition, the altar also serves to place where every guest come and take a picture with the groom and spouse. So, decoration for altar is the most important thing. This place must be set correctly so that all of the people in the wedding ceremony will have a more pleasant. Altar can be said as the main view of the wedding party. So that's why decorate the altar correctly you will have a good layout. Therefore, it should be better if you decorate the Altar with the best decorations. 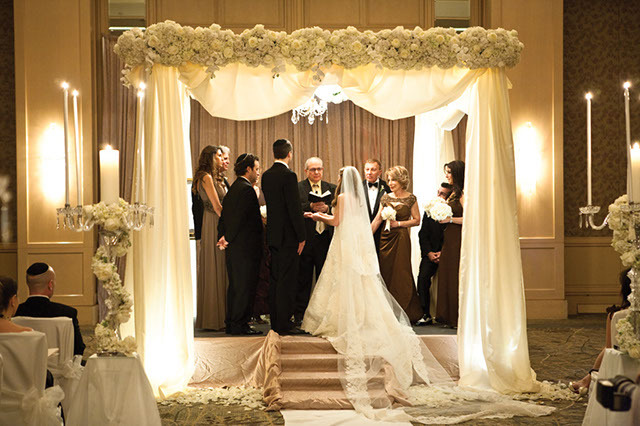 Standing at altar with your loved one is the perfect moment for a really romantic. There are things you can do to decorate the altar. Using the canopy with light is a good idea to make more romantic and scared moment. This will give you good lighting so that the bride look so majestic. But if you still want the background of the church (such as image of mother Mariam and Jesus statue) is not closed by the canopy, you can decorate the altar with unity candles, chandelier and flowers. That's all decoration ideas to make your wedding day more sacred and calmer during your ceremony. 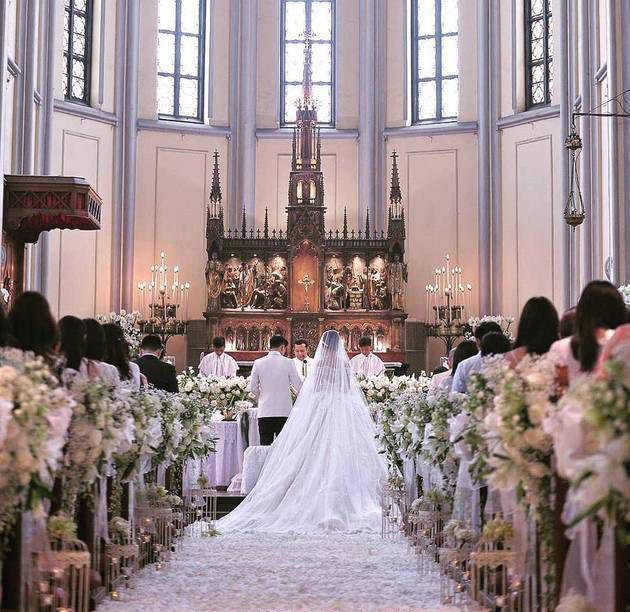 Hopefully, this article about church wedding decorations ideas you can get inspirations. 0 Response to "Church Wedding Decorations Ideas"